Many friends and visitors to the sanctuary did not know that for 2½ years we were the home of Word the dog who was in the Guinness Book of World Records as the longest dog incarceration on record. 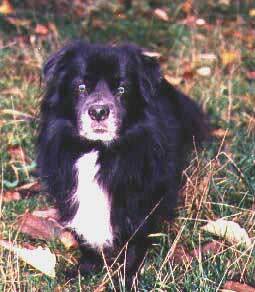 On May 2nd, 1993 Word and Parsheba, brother and sister Lhasa Apsos, barked and nipped at two people. "Nip and run" the attorney said. 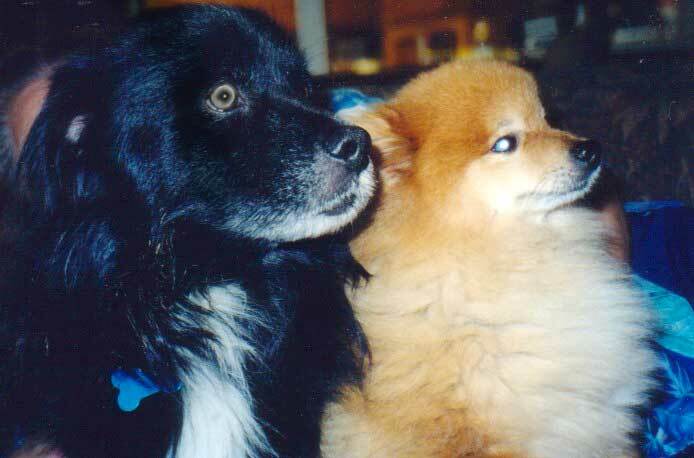 The skin was never broken and no one needed treatment, yet both dogs were picked up by Seattle animal control on May 5th, 1993 and both were declared "vicious". At that time in Seattle a vicious dog was one that barked, growled, nipped or bit a person or an animal. Although neither victim would testify against the dogs they sill met the criteria for vicious dogs and were destined to be destroyed. Attorneys for the owner and the dogs argued the case repeatedly all the way up to the state supreme court. This took many years with both incarcerated dogs living in limbo. Sadly, Parsheba never made it out. She developed cancer and died August 9th, 1999 leaving Word completely alone. After 8½ years it was determined Word could live in a secure environment with many conditions met. In November 2001 Word finally saw freedom after so many years in confinement. With the safety and security of Pigs Peace Sanctuary we welcomed Word to our family and a safe haven of love for the rest of his life. We were honored to have been chosen. All involved felt we were the best choice. One of the conditions to comply with was that Word would have no contact with the general public. This meant that when we were open to the public Word was quietly in the house. Word never knew he had limitations. We fenced our entire property for Word's safety and complete freedom, plus he would often run and jump in Judy's car going on many errands. Sadly last December, when at the vet for a routine dental exam, Word was discovered to have squamous cell carcinoma on his jaw. This is considered one of the most aggressive growing cancers a dog could have. This Spring Word lost the fight and on a quiet, sad day we buried our friend next to his sister. Word with his best friend Peter.